We all deserve to enjoy life and feel good about ourselves. Sometimes however life can be tough. Whether you’re feeling great and want to stay that way, you’re a bit fed up; or you’re struggling to manage your feelings, this site has links to information and tips ranging from how to boost your mood, to where to get help if you’re unable to cope. The site has been developed for people living in Warrington, so some of the services are for local people only. The words indicate which services are aimed at Warrington residents. Many of the links are for national sites however, so the information will be relevant wherever in England you live. So that it's easier for you to find what you're looking for, we've divided the site into different sections. Click the blue buttons above to find information that's right for you. 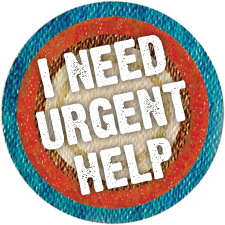 If you need help right now, click "I need urgent help" above. This suicide prevention app has recently been localised to include details of crisis support across Cheshire and Merseyside, in addition to national services. The Stay Alive app is designed for anyone who fees suicidal; and for anyone concerned about someone else’s suicidal thoughts. The app includes a safety plan, reasons for living (which can be customised) and a life box where people can store photos and memories that are important to them. It also covers strategies for staying safe, tips on how to stay grounded when you’re feeling overwhelmed and the option to create your own interactive wellness plan. You can download the Stay Alive app free from the App Store or Google Play. More details about the app can be found on the Grassroots Suicide Prevention website. Warrington has adopted the national In Your Corner campaign. This is a five-year men’s mental health campaign, run by the anti-stigma project Time to Change. The aim of the campaign is to encourage men to look out for their mates; and to be more supportive of the 1 in 4 of us who experience mental health problems in any given year. For more information, including details of how you can book the campaign resources for your venue, click here.